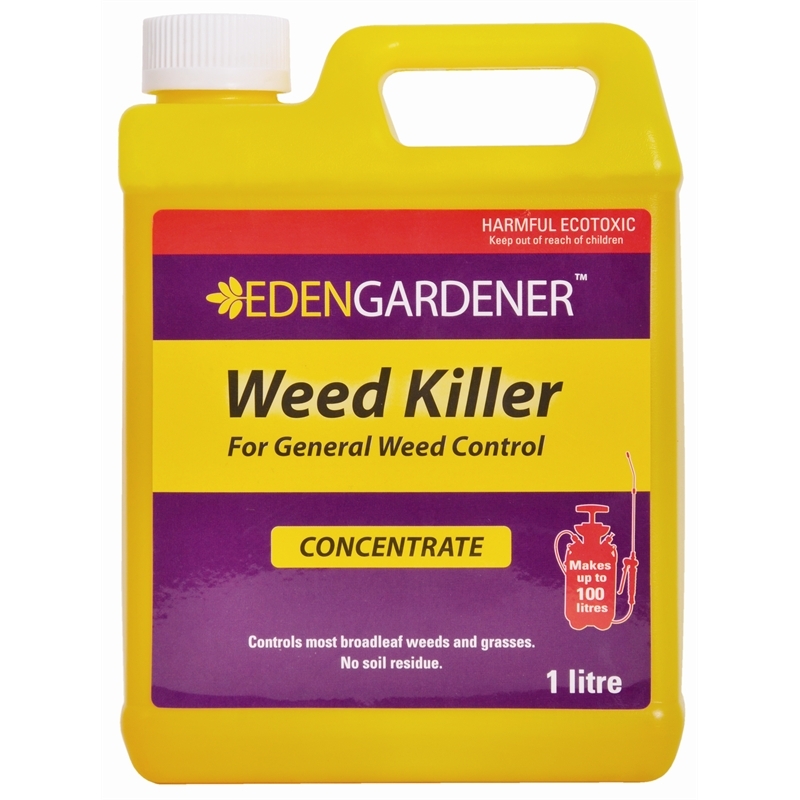 Controls a wide range of broadleaf weeds and grasses including Kikuyu and Couch. 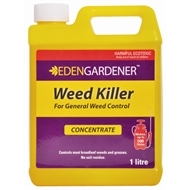 1 litre of concentrate makes up to 50 litres of spray. Contains 360g/litre glyphosate. Weedout general weed control will kill lawn grasses. 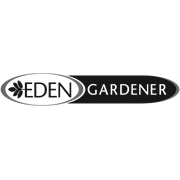 Eden Gardener Weed Killer 1litre.